You pay good money for your home internet connection, but the quality of service of your Wi-Fi doesn't always match up to what you're pitching in monthly. If that kind of problem sounds familiar then NetSpot Home is essential for anyone looking to get the most out of their wireless networks. 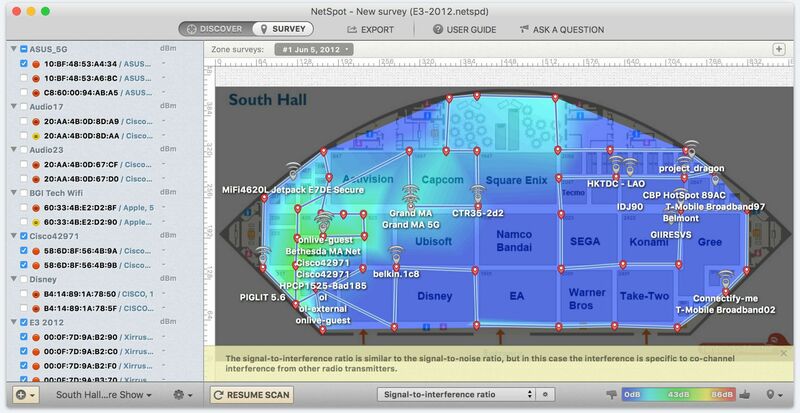 Available for Windows and Mac, NetSpot Home lets you visualize, manage, troubleshoot, audit, plan, and deploy wireless networks. With a single click, you can see how strong your network is by identifying local dead zones. You can view any number of access points simultaneously and track down where the strongest hotspots are for your network. With NetSpot Home, you can create comprehensive reports that detail your networks strengths and weaknesses. That way, you can always know when and where your connection is the strongest. A highly praised utility, there's even a free version of NetSpot with more limited functionality which you can grab from TechSpot's downloads section, or with the current deal get NetSpot Home licenses on sale for Windows and Mac for only $19, which is more than 70 percent off their normal $68 price. Plus, each lifetime license grants you access to all major updates, so you can rest assured that your NetSpot software is current and loaded with the best features.